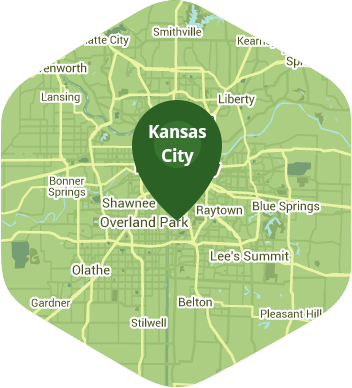 Book a skilled lawn pro in Blue Springs. Backed by a total satisfaction guarantee and amazing customer support. Life can be pretty laid back in Blue Springs. After all, it's lake living right on the outskirts of Kansas City, so it gives you all the advantages of big city life without all the drawbacks - it's a win/win situation! Whether you like to lazily spend a day on the lake, or take a hike through Burr Oak Woods, the last thing on your agenda is undoubtedly lawn care and maintenance! So, how do you get a great looking lawn without spending a lot of your precious time? There's an answer to that question, and that answer is Lawn Love. Lawn Love is a fully bonded and insured lawn care company. Our skilled and capable lawn care technicians can take care of all your lawn care needs. We offer gardening, mowing, seeding, weeding, aerating and clean up services to keep your lawn looking its best. Lawn Love allows you to have a beautiful lawn that you can enjoy without all the work! Give Lawn Love a call today at 816-527-9015 or get our two-minute quote, and find out how we can give you a lawn you'll love, while freeing you up to enjoy life. Rated 4.76 / 5 stars in 2,023 Blue Springs customer reviews. There won't be any rain in Blue Springs today, which means you'll probably have to water your lawn. Dusk and dawn are the best times to water your lawn (the sun will rise at 6:36 AM and set at 7:57 PM today in Blue Springs). Here are some average lawn care prices for homes in Blue Springs. Average lawn size 6,864 sq. ft.